Mining activity on the Grängesberg deposit commenced in the 16th century and continued unabated until closure in 1990. At the turn of the century, Sir Ernest Cassel, the British merchant banker and grandfather of Edwina Mountbatten, owned the mine. At this time Grängesberg was reported to be the richest of Sweden’s iron ore mines. During the mine’s life, over 180 million tonnes of ore were produced. The company was the biggest employer in Grängesberg. At the height of production in the early 1980s, there were some 1,500 employees. Population in the town has dwindled since closure, the largest employer now being the neighbouring brewery. Closure was considered in 1981, but a return to profitability was made in 1982 and several good years followed. Although the revenue stream remained constant, there were rising costs. The decision to close was made in 1987. All employees were given 5 years notice and guaranteed employment for that time. Ownership was transferred to a separate partly state owned company in the year following the decision. Although closure was planned initially for 31st of December 1991, the last skip was hoisted on the 16th of January 1990, with salvage operations following. The workings were allowed to flood and the equipment was largely disposed of, although some rolling stock was abandoned underground. The shafts were capped and hoisting gear removed. 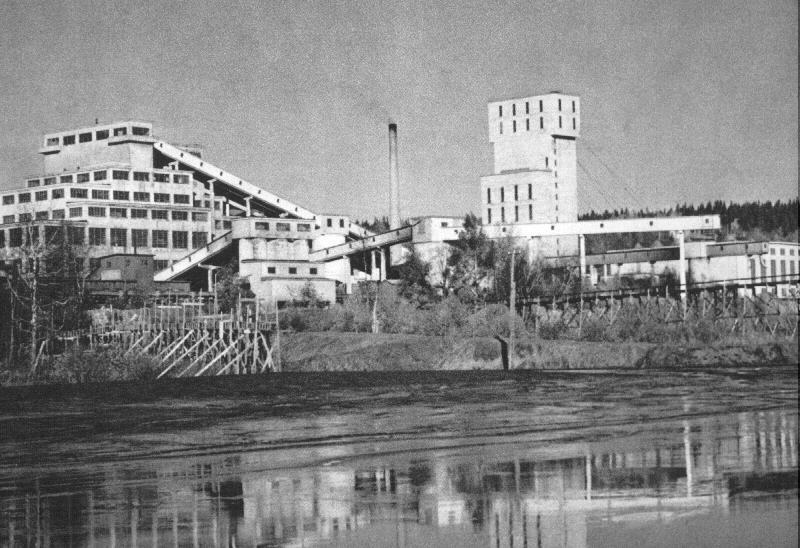 The Grängesberg mine, the central shaft headframe and enrichment plant, in the 50s.